Main Pharmacy has a generic plan available in case your preferred brand is not in supply. We will, however, need your physician’s prescription in order to provide you the Generic Plan service. 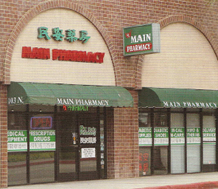 Please make sure to bring your prescription with you when you visit our pharmacy at Alhambra, California.